iVillage Inc., acquired by NBC Universal, Inc. in May of 2006, operates several entities that include women’s online destinations and media products. The online sites provide practical solutions and everyday support to women 18 and over. 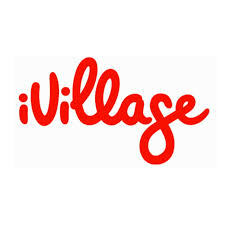 iVillage.com is organized into branded communities across multiple topics of high importance to women and offers interactive services, peer support, content and online access to experts and tailored shopping opportunities. iVillage includes iVillage.com, Women.com, Business Women’s Network, Lamaze Publishing, The Newborn Channel, iVillage Solutions and Astrology.com. Content areas include Astrology, Babies, Beauty, Diet & Fitness, Entertainment, Food, Health, Home & Garden, Lamaze, Money, Parenting, Pets, Pregnancy, Relationships, Shopping, and Work. iVillage’s publishing and broadcasting capabilities can be found in iVillage Parenting Network, a holding company for a publisher of advertiser-supported educational materials for expectant new parents. In addition, iVillage Integrated Properties is the operator of the Newborn Channel, a satellite television network broadcast in over 1,050 hospitals nationwide, and the publisher of Baby Steps magazine. Other services offered include Promotions.com which provides promotions and direct marketing programs that are integrated with customers’ offline marketing initiatives. The Public Affairs Group offers extensive databases of pertinent information to subscribing companies and members. Established in 1995 and headquartered in New York City, iVillage Inc. is recognized as an industry leader in developing innovative sponsorship and commerce relationships that match the desire of marketers to reach women with the needs of iVillage.com members for relevant information and services. Membership to iVillage.com is free and provides features such as personal homepages, message boards and other community tools.